With the self-care movement rapidly making its way around the world, a basic, same-old skincare routine just isn’t going to cut it anymore. We need what’s new, what’s now and what’s going to keep us looking fresh even on our dullest days. Going to a spa for a facial every week is a commitment not feasible for most of us, but we’d still appreciate a little extra oomph in our regimen. 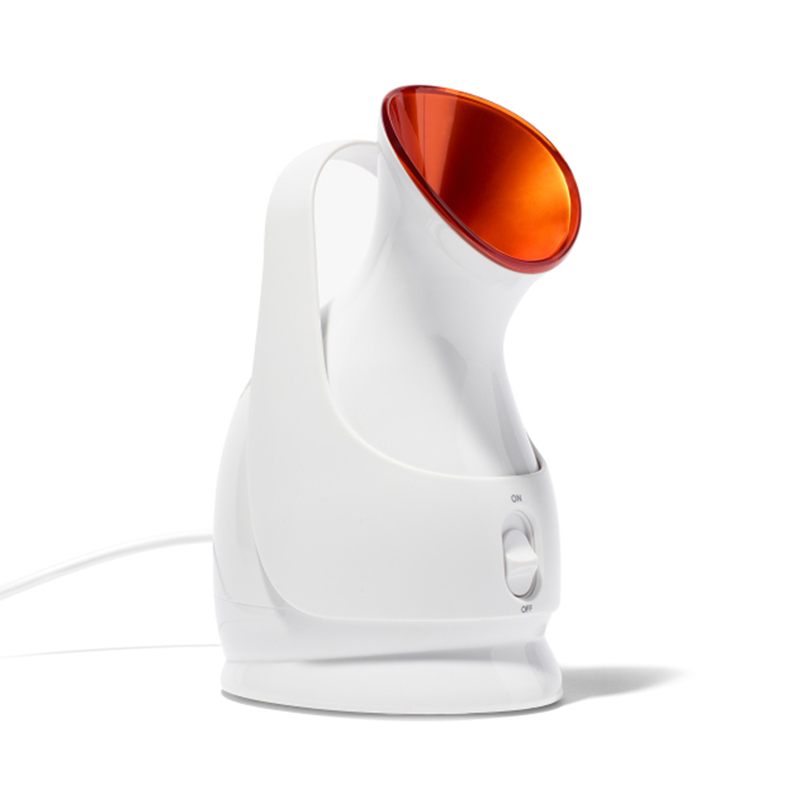 This compact complexing-boosting tool — a facial steamer — provides just that oomph! The Dr. Dennis Gross Pro Facial Steamer features micro-steam technology, which may be the missing piece we’ve been looking for in our skincare puzzle. This technology claims to infuse skin with hydration, leaving us looking radiant in as little as eight minutes. Quicker than a trip to the esthetician, and it doesn’t end there. See it: Get the Dr. Dennis Gross Pro Facial Steamer for $149 from Violet Grey! The nozzle is constructed to be wide enough to fit most faces, so we don’t miss any spots and end up with awkward dry patches on the forehead or chin. Full coverage all the way! This product is ideal for all skin types. For dry or dehydrated skin, the brand recommended that steaming for 8 to 12 minutes, just enough to reap the benefits while keeping skin safe from further drying out. For combination skin, it’s recommended to steam for 12 to 15 minutes, and for oily skin, shoot for 15 to 20 minutes for our steam session. 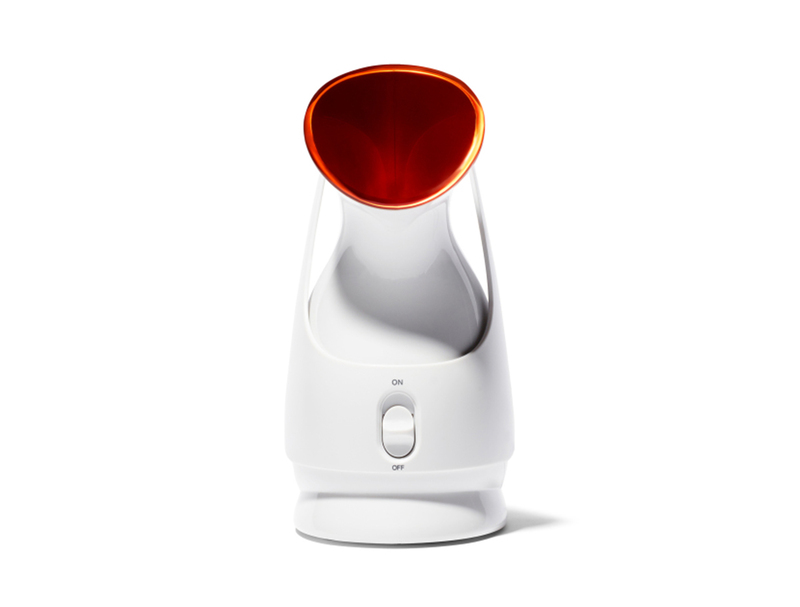 Don’t worry about getting too relaxed, as this steamer has an automatic safety shut-off! The brand suggests steaming once or twice a week, though just use best judgement if your skin can use more sessions (or fewer)! Feel free to be a little creative; makeup artist Matthew VanLeeuwen revealed to Violet Grey that he prefers to add one or two drops of essential oil to the tank just before steaming! Lavender or eucalyptus would be super soothing. After finishing a steaming session, be sure to follow up with other products, like oils, emulsions, serums, masks, moisturizers and beyond. Specifically recommended are the Hyaluronic Marine Hydrating Modeling Mask and Alpha Beta Universal Daily Peel packets. Dr. Dennis Gross claims that the steamer will “enhance and accelerate” the benefits of our other products by encouraging our skin to soak up all of the goodness without a fight. Caution: This may result in less visible pores and an enviable dewiness! The sleek and convenient design is lightweight and small, making it easy to store and perfect for traveling. It even has a carrying handle! Dry airplane air can do a number on our skin, even on a short flight, so we definitely plan to pack this in our suitcase for some post-plane revitalization on our next trip. Dr. Dennis Gross is a board-certified dermatologist and surgeon, so we are not surprised that this steamer passed every test with flying colors. It’s so beloved, in fact, that it’s an editor’s pick on Violet Grey! This seal of approval is just the cherry on top of an already impressive sundae, and we’re ready for another serving . . . of steam! See it: Get the Dr. Dennis Gross Pro Facial Steamer for $149 from Violet Grey! Looking for something else? Check out more skincare from Violet Grey here!